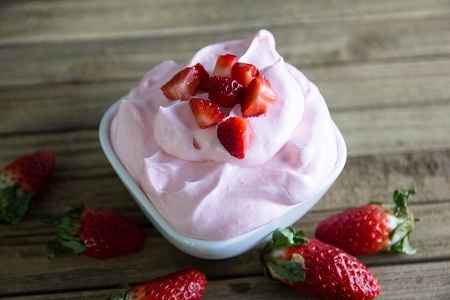 Our reduced-calorie Strawberry Mousse mix makes a fluffy pink dessert bursting with the flavor of refreshing strawberries. No cooking required—just add milk, whip and chill. Makes easy and delicious pies, tarts and parfaits.